Not every tasty dip has to be savory. 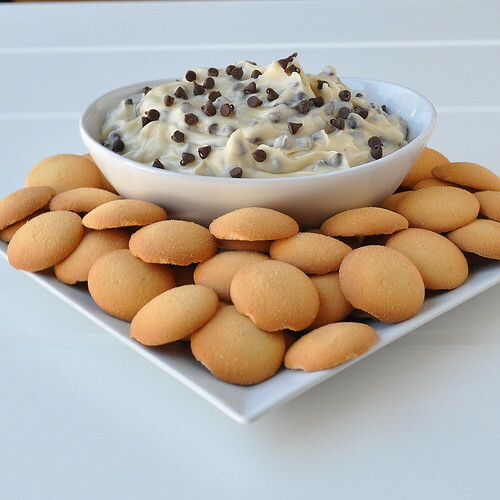 If you want something fun and sweet to snack on, try this Chocolate Chip Cookie Dough Dip! It’s quick enough to bring as a last minute appetizer, it’s great for a girl’s night in, and it was tasty as I watched football tonight! 1 teaspoon vanilla extract – next time I’d add 1.5 tsp.